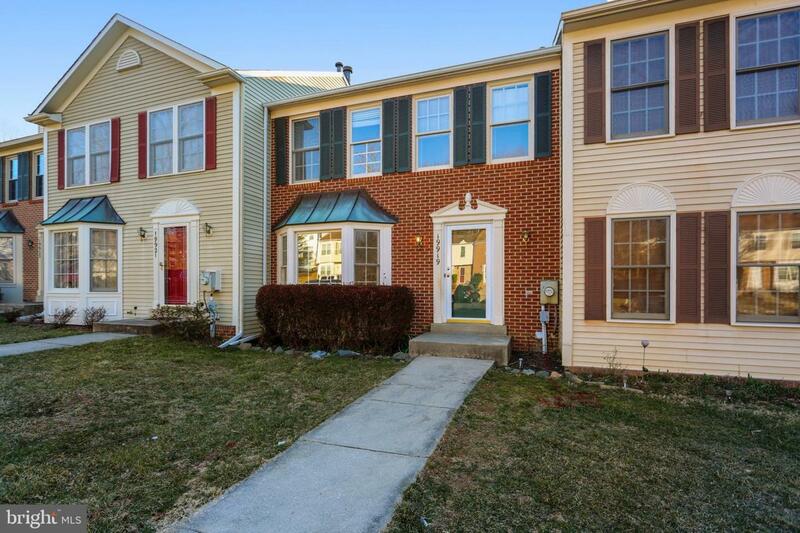 Beautiful brick front townhome with bay window backs to trees! Over 2300 sq ft on all levels!and about 1550 sq ft on the top 2! Hardwood floors on main level. Center island kitchen and breakfast area with skylights! Dining room with slider leads to a large deck facing trees. Upstairs has 3 good size bedrooms - all with vaulted ceilings. The master bath features a new frames glass shower, separate tub and double vanities. The lower level boasts a huge recreation room with a wood burning fireplace and it is a walkout! New carpet and paint!